You may have heard that Squarespace is “bad for SEO,” but is there any truth to that? Lets discuss some of our Squarespace SEO tips that really work. For those who aren’t familiar with Squarespace, it is a website creation tool that is designed to make beautiful looking websites very simple to do, for those without any special design skills or experience. This post isn’t a review or an endorsement of Squarespace, but rather an attempt to show that you absolutely can do well in the search engines with a Squarespace site and show you exactly how you can do Squarespace search engine optimization. When I think of search engine optimization (SEO) I think in the context of organic, search engine traffic. In other words, how well is my site doing in the search engines as far as ranking for the keywords I want to rank for, etc. First, you need to do a good job of on-page SEO and create content that is relevant and high quality. Second, you need to do good “off-page” SEO by doing things like getting high quality websites to link back to you. This process helps search engines understand what your site is about, know that it is high quality content, and demonstrates that other authoritative sites vouch for you by linking back to you. 1. What do experts and people who know way more than me think about it? 2. What kind of proof is there for Squarespace sites doing well in search? Since Rand has forgotten more about SEO than I’ll ever know, I take his word pretty seriously. 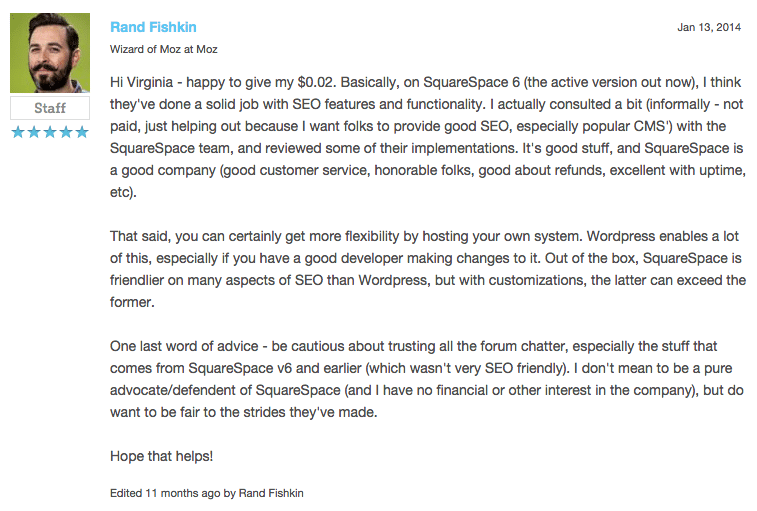 Why would he take the time to comment on a discussion about Squarespace SEO help unless he felt strongly about it. More important than what Rand Fishkin or anybody else has to say are the actual results. I think that’s very fair to say. You can do well in the search engines with a Squarespace website. Notice that I didn’t say “you will do well” or even “most people do well.” However, having a Squarespace site that ranks well in Google is certainly possible. The key thing to understand is that there is no “magic pill” when it comes to SEO. Nobody can just sprinkle some SEO dust on your website and make you rank well in Google. No, it takes some work and some know how – no matter which website builder or content management platform you are using. Remember that Google ranks specific pages, and not websites. I’ve used the example before about a personal baseball website of mine to demonstrate this point. I could have the greatest baseball website in the world, but if I don’t have a page that is on the topic of Fenway Park, then I’m not going to rank well for searches people do about that stadium. Instead, sites that have a page devoted to the ins and outs of Fenway Park will be ranking for that term because their page is a better match than anything I have to offer, even if my site overall is much better. I think it’s important to understand this basic point so you can apply it to your own business. While it would be great to have your home page ranking well for all the different search terms you covet, it makes a lot of sense to use your blog and other pages on your site to focus on specific keywords that you’d also like to rank for. (More on this later). The page title and page description are critical parts of on-page SEO. The page title should be about 55 characters in length, which is about all that will be displayed in Google before it is cut off. Likewise your description shouldn’t exceed 160 characters as it will be cut off after that in Google. 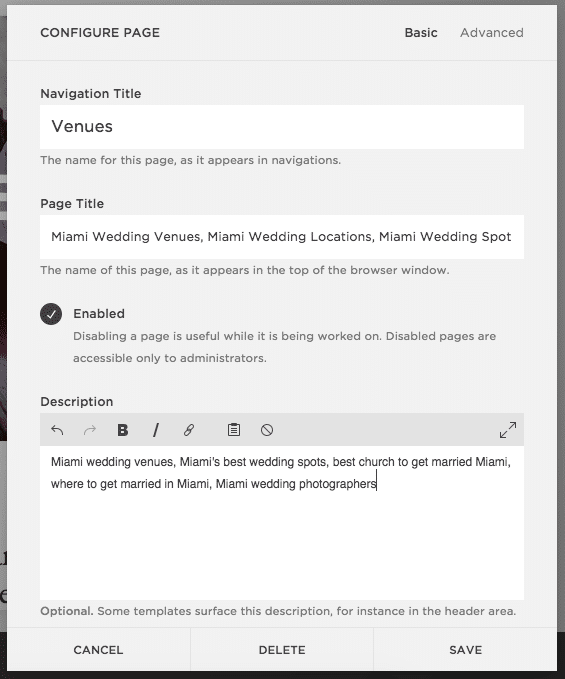 Then my URL slug would just be “Miami-wedding-venues” to make things simple. 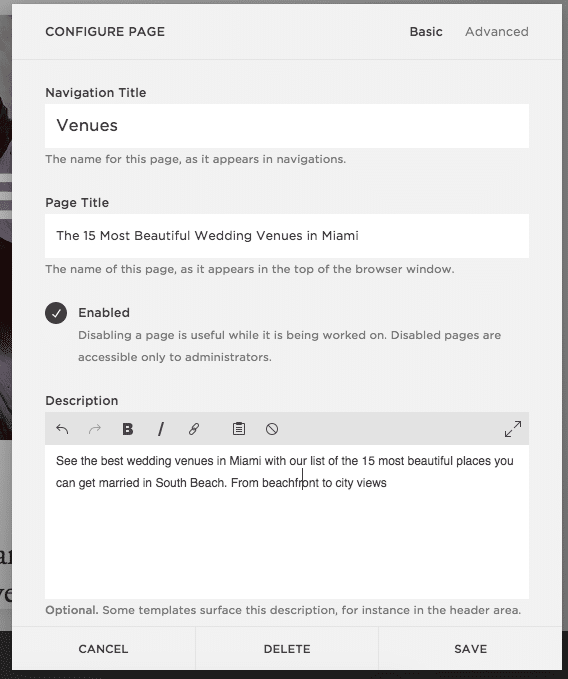 So assuming that this page is designed to rank for the keyword “Miami Wedding Venues” or “Wedding Venues in Miami,” I’m off to a pretty good start. 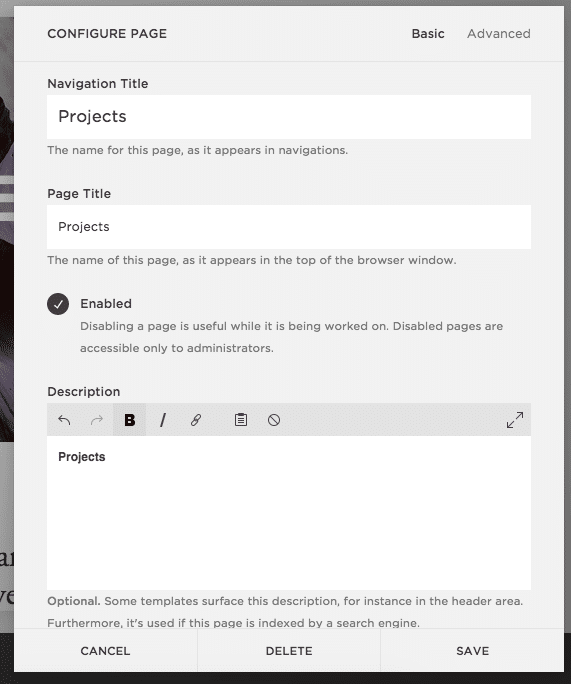 Making sure that every page you build has a well thought out title, description, and URL will put you ahead of the game. Once you’ve done that, make sure that as you add images to your posts or pages, that you use Alt text to further demonstrate what your page is about to the search engines. Now that we’ve talked about how you can set up your Squarespace SEO on a page by page basis, you may be wondering how you can know what to target with your content. I used “Miami wedding venues” as an example keyword to focus on, but how do you know which keywords are best for your business? 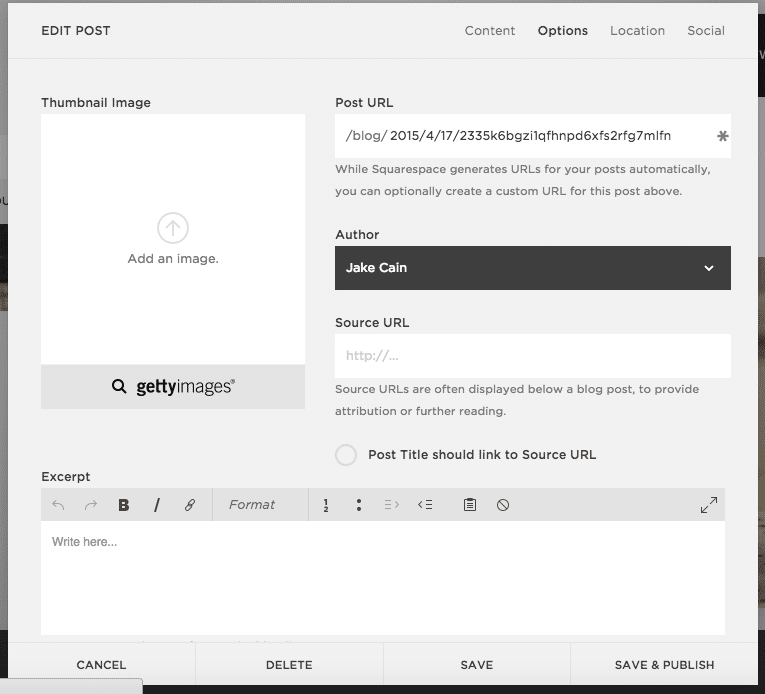 Keywords matter whether you are using Squarespace, WordPress, or any other website builder. A “keyword” simply means something that gets searched in Google (or another search engine). Keyword research is the process of finding out what people in your industry are searching for, and analyzing the competition so you can know which keywords you should be targeting. If you don’t know which keywords to target, you’ll be limited with the kind of SEO you can do in Squarespace. After all, how will you know what your page titles, descriptions, and content should be optimized for? Blindly guessing isn’t a smart strategy. It’s better to know how often a given phrase like “Miami wedding venues” is searched in a month, and perhaps more importantly to understand how fierce the competition is in the top 10 results of Google for that search term. After all, if you are targeting things that are too generic and too competitive then your on-page SEO likely won’t matter much. My suggestion is that you look for keywords in your industry that get decent search volume, and also have relatively low competition. By targeting these long tail keywords, you’ll have a better chance to rank well in Google because you are laser focused on something that you can realistically compete for. 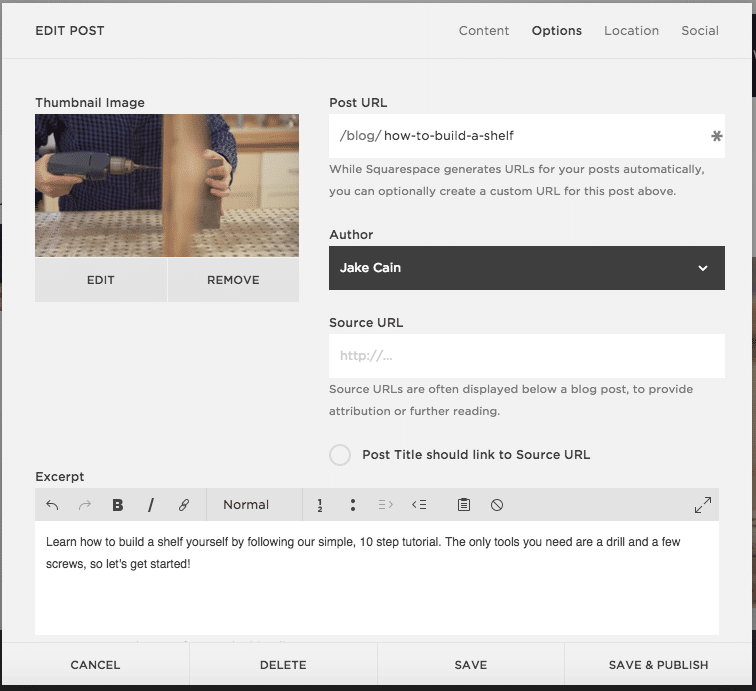 At the time of this writing, Squarespace doesn’t do as good of a job on opening up your SEO options on blog posts. Specifically, there is no meta description field that you can type in yourself. The image below comes from HubSpot who said the following about meta descriptions: “In case you’re unfamiliar with the term, a meta description is the snippet of information below the link of a search result. Its purpose is to describe the contents of the page to the searcher. The end goal is to convince and persuade the searcher to click through to your website. Any words that match the search term are bolded in the description. The point of HubSpot’s article, which I completely agree with, is that when you can specify a meta description you are really getting an opportunity to “sell” the searcher on your site. In other words, besides ranking in the search engines you also want them to click on your page when they see it in Google. So a compelling description can help make that happen. It’s pretty common to have access to the meta description field on blog posts in Squarespace competitors like Weebly and obviously WordPress, so maybe they’ll add it at some point. For now, I don’t think it’s a deal breaker for most people but something to be aware of if you are still making a decision on where to build your website. By the way, if you’re still deciding between platforms, we have you covered – we have comparison posts about Wix vs Weebly, Weebly vs Squarespace, and Weebly vs WordPress. 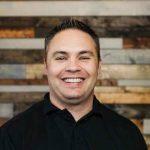 So what SEO can you do on Squarespace blog posts? Next, you can click on “options” in the top-right corner and have control over your URL. Notice below how the standard URL came out when I didn’t specify anything. Ugly, right? You should take a moment and change that URL to be more search engine and human friendly. 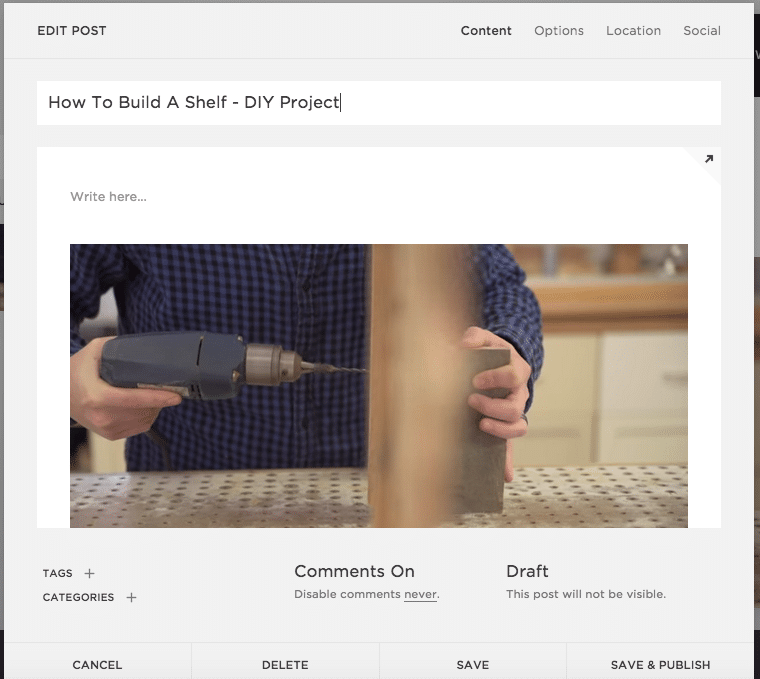 If you’re doing a keyword focused post, see if you can use the keyword or at least part of the keyword in your URL – this helps indicate what your blog post is about. Doesn’t a URL ending in “how-to-build-a-shelf” carry more meaning to you and to Google than one ending in “2335k6bgzi1qfhnpd6xfs2rfg7mlfn”? I’d also add the excerpt, which is what someone would see on your main blog page before clicking on “Read More” to see your full post. Finally, I’d always specify a thumbnail image so my blog post looks its best. 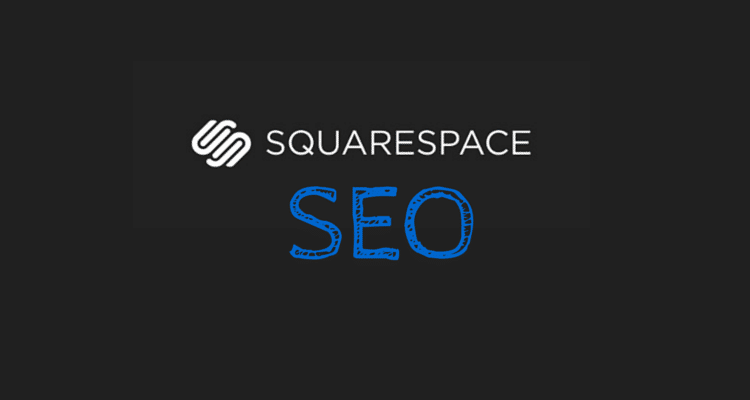 Is Squarespace the best platform for SEO? However, there is quite a bit you can do as we’ve covered above. Also, focusing on the right long tail keywords has nothing to do with Squarespace and is half the battle. You could do the best on-page SEO in the world, but if you are targeting keywords that are way too competitive you probably won’t rank well for those terms either way. So you absolutely can use Squarespace to implement a long tail keyword traffic strategy and do just fine. My final point is this; if you love Squarespace and find it easy to work with and it is working well for your business – then stick with it. Go back and make sure you are “covering the bases” that I listed above, and make that part of your process moving forward. Make sure you weigh the cost of your time and effort for moving your website to a different platform against the benefits of moving. As mentioned, following the right content strategy for your Squarespace site will leave you in a strong position, and ahead of many of your competitors. If you’re a Squarespace user and have any Squarespace SEO Tips to share, please do so below! Don’t forget to try Long Tail Pro with our FREE 7 day trial. This is a really helpful and informative post on seo within Squarespace, there’s not too many out there! Thank you for stopping by – glad it was helpful! 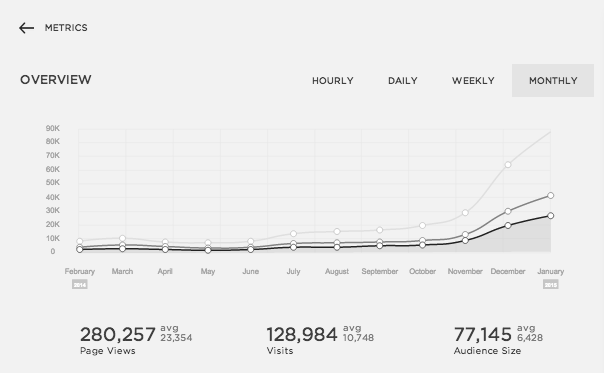 I built a couple of sites about 6 months ago on Squarespace and while one is struggling, one has really taken off and it’s hoovering up all sorts of organic search traffic. Time on site is really high because it’s full of content that visitors are looking for and it’s displayed beautifully (if I say so myself!) In the end, Squarespace is a great platform for making good-looking, responsive websites and that’s only going to help your SEO if you marry it with great content. I think it’s also easier to get links if you direct someone to a site that looks amazing. I have used this tools LTPro V.3 for my keywords searching. In my mind, this is the best tools I have ever used. Do you think renaming photos and including the keyword in the file name is important? Going to implement this on my new site. I’ll be curious to see how it works out! Thank you for sharing this. I use SS for my CMS and find that I do need to do some work to help with so. At the minute I am unable to have separate page title on Bedford. Any suggestions guys? 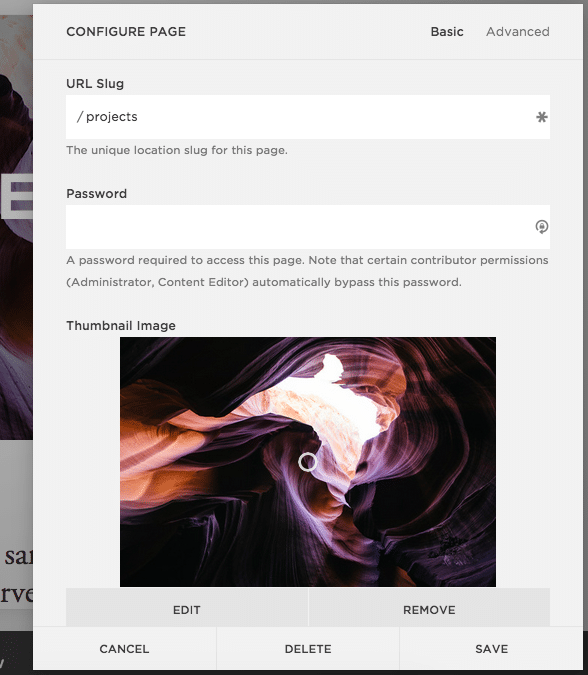 I’m using wordpress self hosted for more than 5 years, and this is the best CMS for me, my website is heavy graphics, because I’m graphic designer, so I’m playing with tons of images. Each post I only have 300 characters, but I always on first page on google search global. The SEO is very good. Now I want to create a new blog and don’t want to think about security, so my option is between wordpress.com and squarespace. The problem is in my life, I’ve never see squarespace blog at google search, but I saw tons of wordpress.com blog. Where are those squarespace websites? I like squarespace because the template is clean and their TOS is flexible, we can put banner ads and affiliate link, not like wordpress.com which our website will end up suspended. Do you have any big website using squarespace that works well in term of SEO? I’m really curious, as a reference. 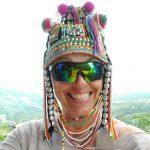 Thanks for your comments, great to hear your enjoying our blog posts.